Zach and I have a busy week ahead. I am giving a Talkin' & Testifying' lecture on campus tomorrow, there is a live art performance on Friday, and TAP for TAF is on Saturday. 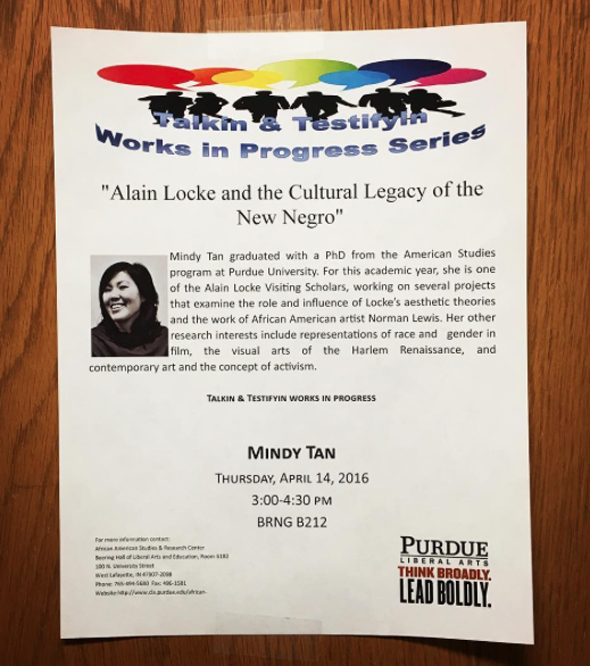 My lecture is free and open to the public, so if you want to come join in the conversation on contemporary race relations and the evolution of race stereotypes, I'd love to see and hear from you!